Model : 12w A1401. 1X Genuine iPhone 12w A1401 Data Cable. This USB 2.0 cable connects your iPhone with Lightning connector to your computer's USB port for syncing and charging or to the Apple USB Power Adapter for convenient charging from a wall outlet. Certified Safe: Anker's MultiProtect safety system ensures complete protection for you and your devices. MultiProtect Safety System. Travel Ready: plug, compact size and worldwide AC 100-240V compatibility make it ideal for international travel. 4 Port USB AC Adapter US/EU/UK/AU Plug Wall Charger for iPhone 7 & 7 Plus 6 6S 6 plus 5 5S 5C 4/4S iPad 2/3 Ipod . Mobile phones have become such an important part of modern life that we are using them almost constantly throughout the day. As such they need to be charged almost every single day. Being on low battery can jeopardise an important phone call or risk wider functionality of your handset. Mobile phone wall chargers are all different and the charger you need depends on the specific power input slot of your mobile or smartphone . These slots can be a multitude of different shape and sizes. Wall chargers usually consist of a cable that plugs into the phone and can be connected to an AC wall socket. If the electricity current is not compatible, an AC adapter may be needed. 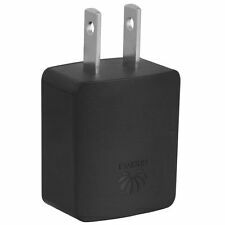 Some mobile phone wall chargers have incorporated adapters for use in other countries where the electricity current may be different. Choosing the correct charger is simple. Most mobile phones can be purchased with a charger as standard, but in the eventuality that you find yourself needing to purchase another phone charger it is important to select the right one. If you just pick any charger that is adapted to your phone model you might find that it takes much longer than it should to completely charge your phone. Bigger items require energy being delivered at a higher rate. Put simply, the amperage determines how quickly a charger will supply power to a device. It is important to check the requirements of your mobile phone to ensure that not only is it compatible with a particular mobile phone charger, but that the particular charger is optimised for the power requirements of your device. 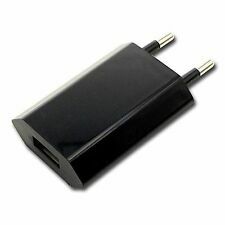 There are a variety of wall chargers available. 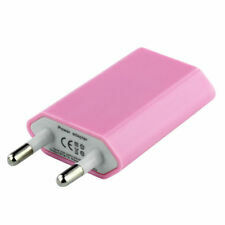 Each mobile phone manufacturer has adapted a specific type of charger for its mobile phones, characterised by the input port. 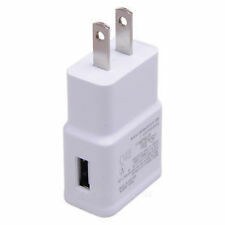 For example, the power input port for a Nokia wall charger is usually a cylindrical shape, while Samsung has adapted a flat rectangular power input port for most of their mobile phones. 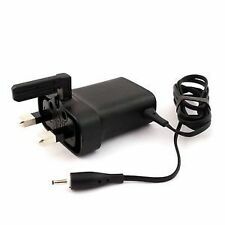 It is therefore necessary when purchasing a mobile phone wall charger to know the specific make and model of the mobile phone in order to find the correct chargers. 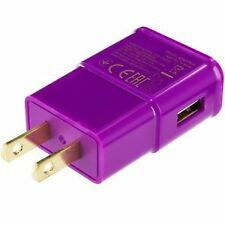 If you are planning on travelling abroad you may also need to consider whether the charger has an adapter and can be used in other countries where the electricity amperage is different. If that is not the case, it might be necessary to purchase a separate adapter too.